Daily Fantasy Consolidation: Our category of the year in 2015, the daily fantasy sponsorship category consolidated this past year led by the blockbuster merger between DraftKings and FanDuel. Gone are the days when the two companies were seemingly in an arms race for the exclusive sponsorships, fueled by over $1 billion in funds raised from venture capitalists. With the luster of daily fantasy fading and the prospect of future sponsorship bidding wars taking off the table by this merger, the daily fantasy category isn't the darling it once was. To learn more about the Daily Fantasy category, you can download a free SponsorPitch Report at SponsorPitch.com/reports by clicking the Download Sample Report button. VR Becomes Reality: The promise of virtual reality is finally coming to fruition with both major players and start-ups aiming to create mass consumer adoption of this promising new technology. However, technology means nothing without real-world application to the everyday consumer, not just the early adopters. With that in mind, established tech giants like Samsung (partnered with Six Flags) and Facebook (sponsored Bank of America Winter Village to showcase VR), as well as startups like Jaunt VR (sponsoring 2017 Sundance Film Festival) and Laduma (sponsoring the LA Galaxy) started using new sports and entertainment sponsorships in 2016 to showcase the awesomeness and relevance of virtual reality to mass consumer audiences. Social Media Gets Into The Rights Game: As platforms like Snapchat, Twitter and Facebook become a destination to follow major sports and entertainment events in a social environment, these same social media giants are looking to lock down exclusive rights that enhance the viewership experience for major events like the Golden Globes and UFC to name just a couple of recent examples. While traditional broadcast networks may find this new paradigm in some cases problematic, there's no doubt that it is a great thing for rights-holders, fans and platforms that can develop new ways to engage younger audiences around live content. Jersey Sponsorship Breaks Into The Big 4: Though jersey sponsorships have long been hyped as a cash cow for the Big 4, the deal flow has trickled out of the gate with only a handful of teams announcing deals since the NBA Board of Governors approved jersey sponsorship in April. 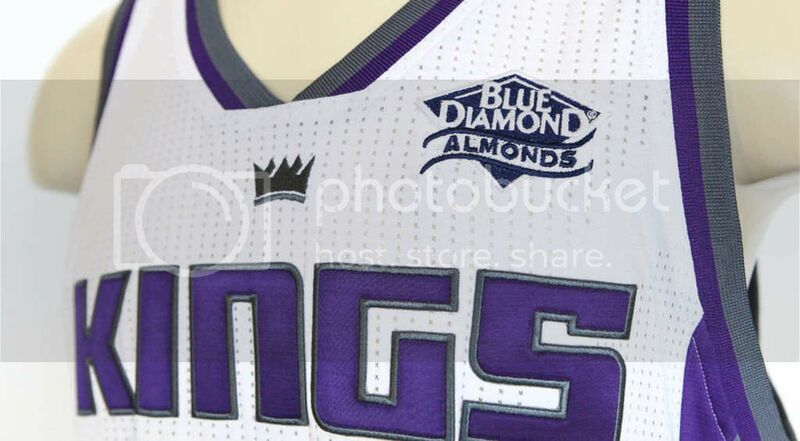 So far, StubHub and Blue Diamond have signed deals with the 76ers and Kings respectively, while Emirates is reportedly interested in jersey deals in several markets. Millennial Mania: This is a rollover from 2015's list, but applies even more so today than a year ago. As the largest generation in the U.S. labor force, almost every marketer is looking for new ways to engage this increasingly influential and affluent audience that often ignores traditional media consumption in favor of experiences. Cue event marketing, experiential and sponsorships. Dating Apps Woo New Partnership Opps: Sponsors such as Bumble, Tinder, Spritzr and Match have all stepped up sponsorship activity over the past year to build awareness and critical mass in the competitive online dating category. Look for the trend to continue as barriers to entry are low and new challenger apps are competing for critical mass in the online dating category. Social Media Sponsorship Tracking: In 2016, a host of start-ups brought new offerings to market that aim to track and measure the social impact of sponsorship activations. While sponsorships are notoriously difficult to measure, social measurement from companies like GumGumoffers a new way to demonstrate both quantitative and qualitative value to sponsors and has the potential to to be a big advancement in the quest for a true, comprehensive cross-channel measurement solution. Nascar Signs Monster Sponsor: No one will confuse the demographics for golf and motorsports. Yet in the space of ten days in December, Monster Energy unveiled new partnerships with Tiger Woods and NASCAR's top series. For two sports that would benefit from lowering the age demographic, the addition of a young, edgy brand like Monster could be a huge win-win for Monster and both sports. Sponsorship Sellers Get A Lyft from Transportation Startups: Uber, Lyft and Airbnb had no shortage of marque sponsorship deals in 2016, but the big surprise is the relative new players in the sharing economy that stepped up to the plate for new sponsorship deals in 2016. Case in point is a company like Skedaddle which raised $2 million in September and sponsored major music festivals in September and October. Roadie raised $15 million in June and subsequently sponsored the Sweetwater 420 Festival and the Atlanta Open tennis tournament, both in its hometown. While these often are not huge deals monetarily, it's entirely newfound sponsorship revenue from startups eagerly looking to create awareness for products and services and differentiation from a competitive field. Category fragmentation, the startup land grab mentality and the availability of capital all contribute to a considerable opportunity for sponsorship sellers -- most notably in the festival space. Sponsorship sellers that can identify these prospects faster using tools like SponsorPitch will have a leg up on the competition in 2017. Soccer Clubs Open Up New Markets In Search of Deals: European soccer clubs are great at signing new deals and engaging audiences across foreign markets such as the Middle East, Africa and Asia. Increasingly, these clubs are also major players in the running for North American sponsorship spend. Look no further than the world famous FC Barcelona for evidence of this. The club opened up a flagship New York office in September to build closer ties to North American sponsors and signed its first deal, a regional partnership with Canadian bank Scotiabank this month. Look for more of the same in '17. That's just a quick rundown of the sponsorship trends, data and activity that SponsorPitch tracks each day so that you can buy and sell more effective sponsorship deals. What did we miss? Let us know in comments and if you want to flashback to our top stories of 2015, click here. Thank you to all of our subscribers for making 2016 such a fantastic year of growth for our platform and very best wishes for a happy and successful 2017 from the team at SponsorPitch!